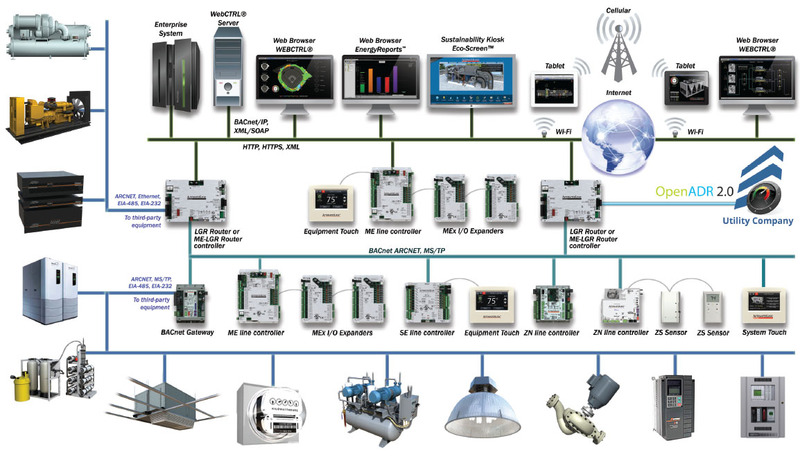 WebCTRL®, Automated Logic’s web-based building automation system, is known for its intuitive user interface and powerful integration capabilities. It allows building operators to optimize and manage all of their building systems – including HVAC, lighting, fire, elevators, and security – all within a single HVAC controls platform. It’s everything they need to keep occupants comfortable, manage energy conservation measures, identify key operational problems, and validate the results. For more than three decades, Automated Logic has provided advanced technology that simplifies building automation and helps meet the increasing demand for energy efficiency and sustainability. Built on the BACnet® backbone, Automated Logic systems and services integrate the strengths of multiple subsystems to provide custom solutions that meet our clients’ energy and comfort objectives. Our clients range from small, family-owned businesses to Fortune 500 corporations. Automated Logic is part of United Technologies Corporation, a Fortune 100 global technology leader.